I have been on these for two months now. I have to say there was zero break in time for these and I have not heat molded them yet. They were a perfect fit I was so happy with that. I have a women's size 10 wider foot. I got 7.5 and they fit like a dream. The boot moves well with my movements. I got different wheels with my set. I switched them out as they the floors I skate on are 84-88s. I switched out the toe stops also. I feel my skates are perfect now. When I started out I got a cheaper pair and I was having a hard time doing EVERYTHING! Once I got these everything is like a dream. It is worth it to buy more expensive yes at the start rather then buying a few pairs. 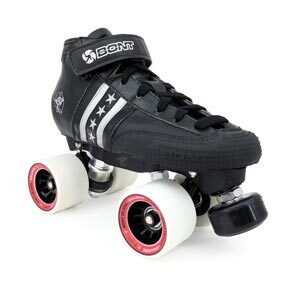 These skates will last you as your skills get better and you can switch out stuff as needed. I feel like I picked an amazing skate. I highly recommend these beautiful skates. I've been on these for about 6 months and so far they have been great! I've skated Riedel and Antik in the past. There was virtually no break in period compared to the other brands. I've since added the Reactor Neo plates and I am very happy with the new set up. If you're curious about trying Bonts just get the quad stars, you won't regret it! I love these skates! They're super light weight and really comfortable. I only needed one practice to get use to them. 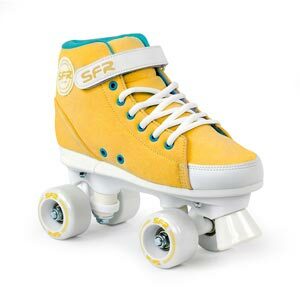 I would absolutely highly recommend these skates. Boots were a bit stiff to begin with but that just goes with the quality of the leather. They have broken in nicely and fit like my FAVORITE hiking boots. The ability to have the open skating floor surface to wear the skates before buying them was AMAZING !!! Thanks to the amazing staff that helped me try them on. I'm super happy with these skates. The boot fits perfectly to my foot thanks to roller girl and their help! The boot itself I feel is made for a wider foot. I have wide feet and they fit like a dream. Beware it you have narrow feet!! Light weight compared to my She Devils. I love how the boot is cut so my ankles feel snug and not dug into. Definitely want to heat mold especially to get the tongue of the boot less stiff. I'm very happy with my new skates and RollerGirl.ca helped me get the perfect fit. I've been rolling on these for a few months now after buying them to replace my freshie Antiks. Overall, I adore these skates! I love the mid-boot and the skates are so light yet feel very durable, especially since I put them through the ringer twice a week. The only thing I would watch out for if you're thinking about buying them is the size. While they fit my feet perfectly length wise (thank you to RollerGirl for really helpful sizing information! ), they are a bit wide for my feet. The heat moldable boot helps with that, as do some booties, but I would recommend trying these on first if you can. Otherwise, totally satisfied. These are some great skates. They are nice and light, and the angled king pin set up helps for making tighter turns. I love them!